Formerly focused on glaciology, glacial geology, physical geography, general geology, petrology, volcanology, geothermal research, geophysics, meteorology, hydrology and oceanography, the journal now expands the coverage area to all aspects of the life sciences including human sciences and technologies. 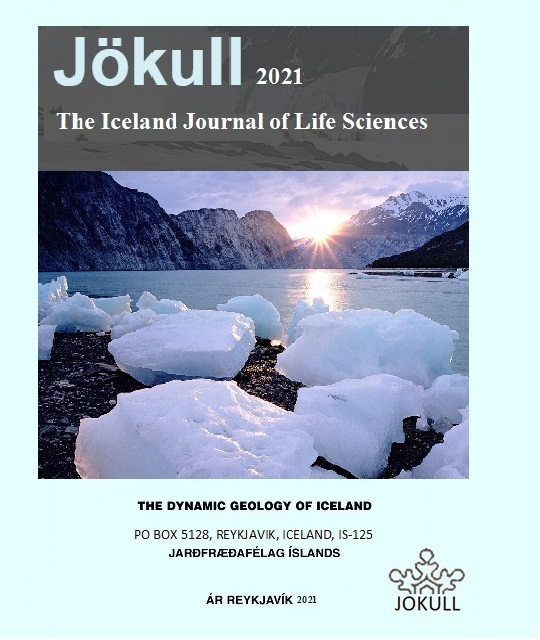 Jökull also publishes research notes and reports from expeditions, book reviews, and other materials of interest to the members of the editorial board. Papers submitted to Jökull should report original and unpublished work which is not being considered for publication elsewhere. Each paper is reviewed by at least two independent referees. After acceptance, we request a copy of the final manuscript to be submitted via the online form introduced to the authors of accepted papers. Accepted languages are Icelandic, German and English.